This study, first published in 1986, provides a systematic account of the processes and structure of class formation in the major advanced capitalist societies. The focus is on the organizational mechanisms of class cohesion and division, theoretically deriving from a neo-Marxian perspective. Chapters consider the organization and structure of the ‘corporate ruling class’, the middle class and the working class, and are brought together in an overarching analysis of the organization of class in relation to the state and the economy. 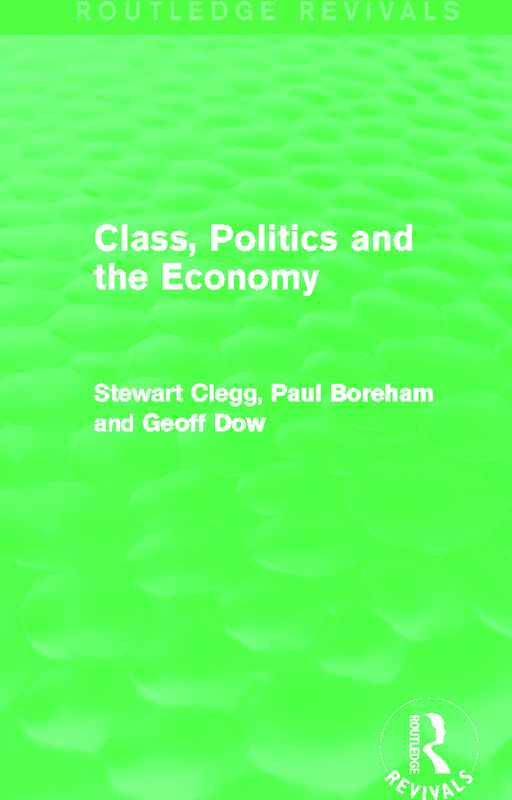 This title will be of particular interest to students researching the impact of recession on societal structure and the processes of political class struggle, as well as those with a more general interest in the socio-economic theories of Marx, Engels and Weber.